I have been planting bulbs in grass and in the border for a week now but yesterday got round to planting the first few pots. I want to plant all the pots soon but the summer plants are still doing so well I am holding off changing things until we get the first frost – at least for a few weeks. The small bulbs and daffodils should be planted by the end of the month really and I do not want to compromise the spring display too much but a few weeks won’t make too much difference really and the summer plants are still looking good as I write. But I am filling the empty pots and the first two were with daffodils and muscari. I know that some people dislike muscari because of the outrageous growth of a few such as M. armeniacum, but a whole lot more are better behaved and they are invaluable for the garden and especially pots because they last a long time in bloom and they are inexpensive. There are also some lovely new varieties though I am not keen on the white and very unkeen on the few, expensive, pinks. 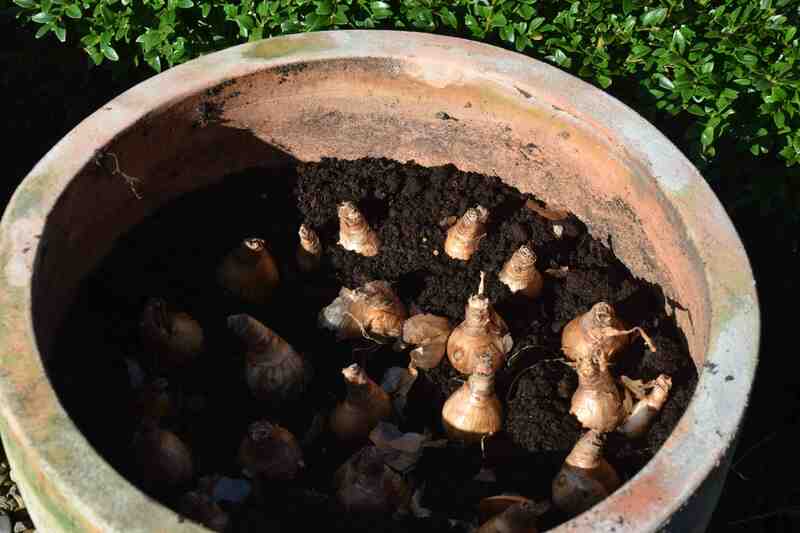 So in this pot I planted a base layer of narcissus ‘Salome’. This is not a new daff at all but I still like it. It is a large cupped daff with white tepals and a pink (ish) cup. It often opens yellow but develops a salmon colour as it ages although the rim of the cup often remains yellow. It is older than me (was introduced in 1958) and is an Irish variety. Like a lot of the early ‘pinks’ it is barely pink at all but it is a lovely flower nonetheless. To emphasise the pink I am overplanting with muscari. Deep blue would not look right to me so I have planted ‘Valerie Finnis’ which is a light, sky blue of the same tone as the pink of the daff so I am hoping that the gentle contrast will show off both to the best advantage. On top of this will go some of my new Barnhaven polyanthus that have been in the nursery bed for a few months since planting out of their cell trays. I am going to add some ‘Paris 90’ which are blue and lilac shades and should look right as long as there are not too many mauves or pinkish colours. Fingers crossed. Thankyou thankyou, for this post-always torn between leaving glorious surviving summer displays, and preparation for the spring show, nice to know I’m not alone, and an expert gardener is similarly afflicted. Also good to hear that I could hang on for a bit longer. Must go out and provide myself with extra pots so that I too can have spare empty pots. 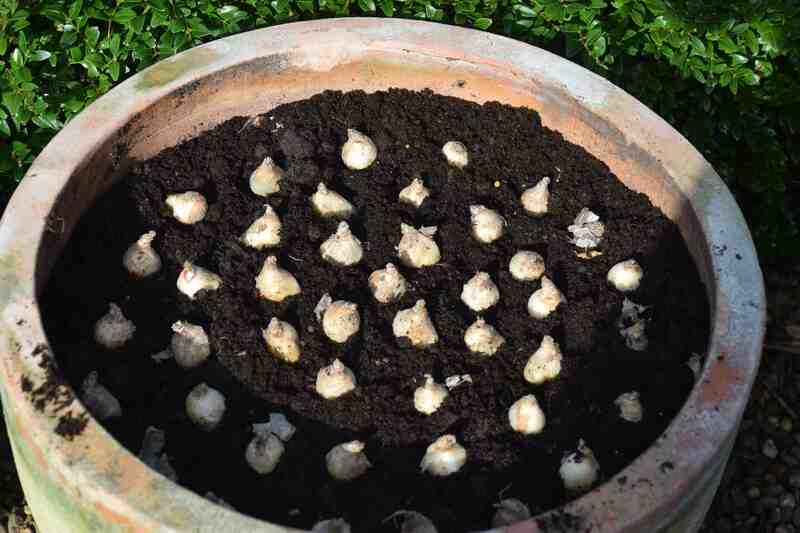 (must try not to fill them with summer plants next year after the bulbs are over).